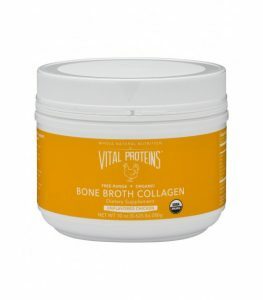 You’ve probably heard of collagen before, but did you know that it’s one of the most abundant proteins in your body? It’s the glue that holds us together and keeps us moving fluidly. Unfortunately, the amount we have in our body decreases as we age – which is why we might experience arthritis, wrinkles, inflammation, joint problems, and more. Luckily there are natural ways to incorporate collagen into your diet, and it has SO many amazing health and beauty benefits! When you’re buying broth at the store, make sure it is made from actual bones. Look for organic and pasture-raised. Avoid broths that have preservatives and additives. You can also make your own at home! Go on Pinterest and look for a DIY recipe. Here’s one that I’ve been meaning to try. These are in powder form, so it’s super easy to just add into a smoothie or even your coffee every day. The Collagen Peptides shown above has no taste so you don’t have to worry about it affecting the taste of your drink. 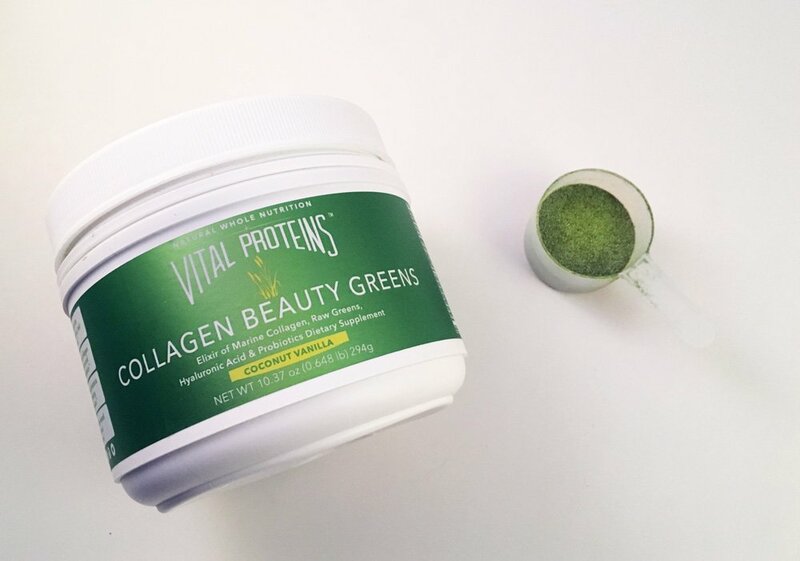 The Collagen Beauty Greens shown in the image for this post is a mix of marine collagen peptides with raw organic greens, hyaluronic acid, and probiotics. Vital Proteins also makes a Vanilla & Coconut Water flavor. If you are pescatarian, they do make Marine Collagen which is made from wild caught, non-GMO snapper. Or you can try their Beauty Waters that mix right into water! They also have Organic Bone Broth Collagen. It comes in both chicken and beef. Raised without hormones or antibiotics. 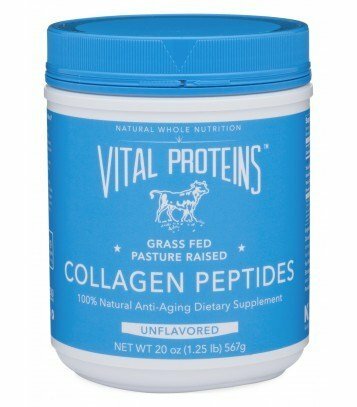 I have been using collagen in my morning smoothie for a few months now and definitely noticed that my nails and hair are stronger and grow faster. I feel really energetic and my digestion has improved too. So if you are having problems with inflammation, gut issues, or stiffness, or you just want to have a more youthful look, I definitely suggest incorporating collagen into your diet!